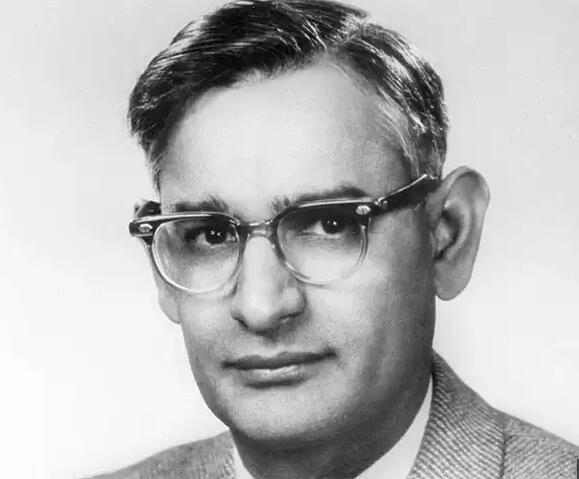 Har Gobind Khorana was an Indian American biochemist. His research led to greater understanding of the makeup of human DNA. In 1968, he received the Nobel Prize in Physiology or Medicine. Khorana would have been 96 years old on Tuesday, January 9. Google honored his life and work on its homepage with a Google Doodle. The image could be seen by Google users in 13 countries, including the United States, India, Argentina, Chile and Japan. Khorana was born on January 9, 1922, in a small Indian village called Raipur. The area is now part of Pakistan. As Google reports, Khorana's father helped his children learn to read and write. This was not common in poor, rural places like Raipur. Khorana received scholarships to attend Punjab University where he earned his Bachelor's and Master's degrees. The Indian government later gave Khorana a scholarship for him to do his doctoral studies in chemistry at the University of Liverpool in England. Khorana went on to do research at universities around the world, including Canada and the United States. In 1968, he and two other researchers at the University of Wisconsin - Madison earned the Nobel Prize in Physiology or Medicine. "Together," Google explains, "they discovered that the order of nucleotides in our DNA determines which amino acids are built. These amino acids form proteins, which carry out essential cell function." In 1972, Khorana made another important scientific breakthrough when he built the first-ever synthetic gene. Bangalore-based artist and designer Rohan Dahotre created the Google Doodle. Google produced two other Doodles for January 9. Users in the Middle East saw a Doodle celebrating what would have been the 82nd birthday of Egyptian poet and radio host Farouk Shousha. He died in 2016 at the age of 80. And users in Indonesia and a few other countries saw a Doodle of the "corpse flower." The huge, unusual -- and foul-smelling -- plant was honored by Indonesian officials as a national rarity 25 years ago. I certainly don't begrudge him the Nobel Prize. Aren't all the people living in rural places more superstitious? Another day I want to be a scientist to discover a scientific breakthrough to save people's lives. 5.These amino acids form proteins, which carry out essential cell function." She needed a clear head to carry out her instructions. 6.His research led to greater understanding of the makeup of human DNA. In 1968, he received the Nobel Prize in Physiology or Medicine. It also provides them with a greater understanding of the world and its past.